There is no business in this world that has been evolved without an idea but also, not every idea is powerful enough to win. An idea without a proper executional plan is just a dream without a successful effort. Thanks to some consulting firms that exist in our times- the procedure of transforming strategy into reality is now not a far fledged dream! 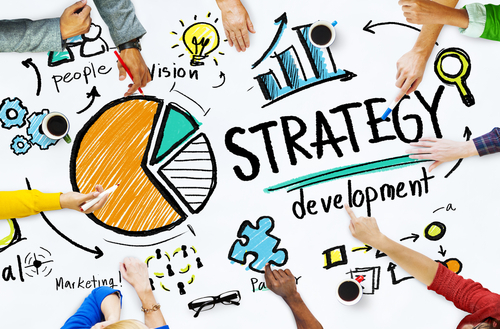 Over the period of time, many consulting firms have formed with the idea to help businesses with the designing and building of effective strategical goals. The idea behind these efforts is to bridge the budding gap between strategies, business operations, organization structure and current employees- the idea is to weave the constructive alignment between these key elements. Consulting firms that are able to identify and clarify businesses with their roles are becoming the true source of revenue conversion. For almost every business, there comes a time in life when they start doubting their own credentials and ability. May be there is a lack of trust, a breach of faith or simply an urgent need of expert guidance that leads to the origin of question “Is it time to hire a consulting firm for my business”? Will they be able to shape my business vision into reality? No matter what the question is, the answer is always YES! How consulting firms can shape your business vision into a winning reality? A great consultation firms is nothing less than a visionary friend, a torchbearer and a problem solving ninja for a business. With some phenomenal powers in hands like specialized knowledge, skills, experience, and observational insight, such firms can garnish your business goal with the fine taste of victory. 1. Discovery mode: When a business plan is discovered to create a new plan or strategy. 2. Research mode: When the management spends a good amount of time in researching new insights about the ongoing plan. 3. Presentation mode: When the final idea is presented with all the recommendations and suggestions. • Consulting firms can save much of your time and money by lending an expert advice and well-defined strategy to your business. • Such firms can ensure the quickest tap of expertise at the right time for a business. Even during the most sensitive times and issues, consultation advice can solve the most critical problem with correct objectivity and critical methods of processing. • Hiring a consulting firm is a futuristic approach- a game well played by businesses having a long term strategy! In such a situation, the role of consulting is multifunctional as it is not just limited to a single domain but has several layers to it. They help accounting, human resource management, recruitment, financial, etc. spheres of the business. • A global management consulting firm can help you in managing your business during increased demand of product and services (even when the resources are limited). The shaping of business reality is a multi-dimensional approach that is quite beautifully handled by a consulting firm.